Lots of people want to build a “legacy.” They want to be remembered when they’re gone. It’s a natural product of our fear of death. But is it realistic to want to build a legacy? Is it realistic to believe you can control whether or not you’re remembered? And might aiming to build a legacy prevent you from doing the type of work that builds legacies in the first place? I examine these questions in this week’s episode. Missed my webinar? I'm doing an ENCORE!! : How can you find the motivation to make it as a solopreneur? I'll be sharing my tricks in my upcoming webinar. 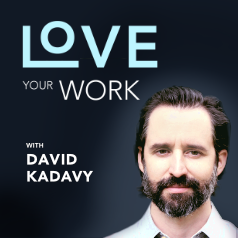 Learn more at http://kadavy.net/motivation.